I would be interested in seeing the plan for the larger 27′x42′ version. Though more out of curiosity than the need for a design at the moment. I’ll scan the rough drawings tomorrow and email them to you. Do you have an estimate on cost range this house would be? That’s impossible for me to do. You have to calculate local costs of labor and materials. Prices for bags and other materials keep going up, etc.Talk to experienced builders in your area. 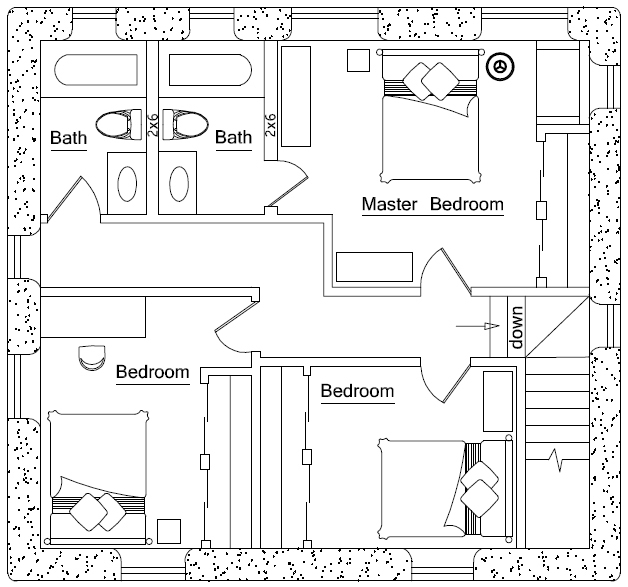 Do you have a more detailed plan that would give the general dimensions of each room? We were looking at taking the laundry upstairs and converting it into a common bathroom with a laundry closet. Then convert the lower floor laundry into a nice walk in pantry/utility room. If you have these plans available could you email them to me? I don’t show all details for free. 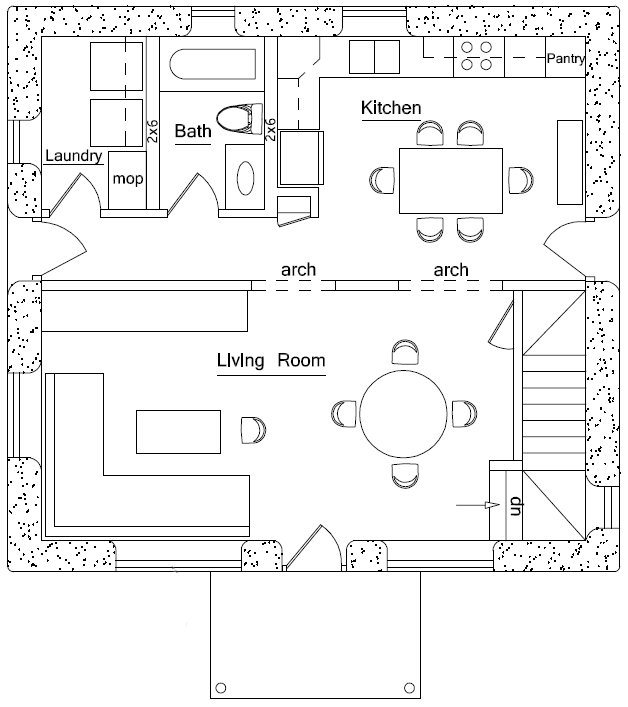 Final plans include all measurements. 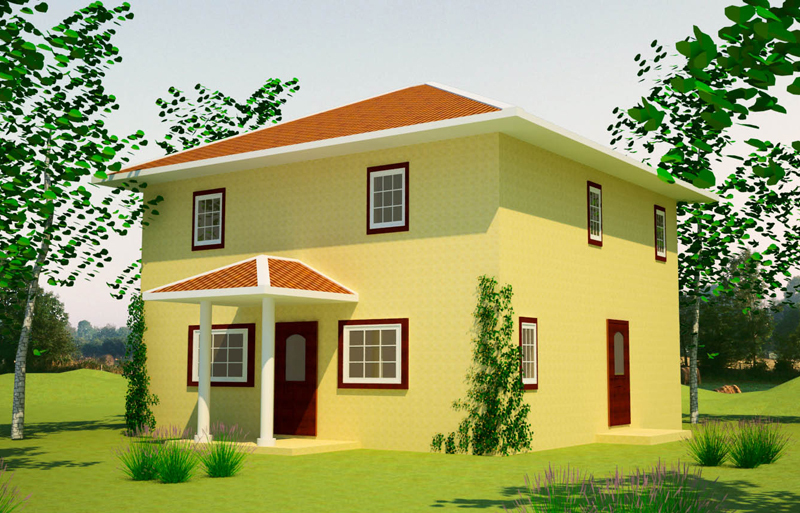 I really like this design, and i am woundering how difficult it would be to add a porch with a slanted roof to the front end of the house? Very easy, ha ha. You can do many things like this using the plans as a starting point.